April 30 is the 120th day of the year(121st in leap years) in the Gregorian calendar.There are 245 days remaining until the end of the year. 1945 – World War II: Führerbunker : Adolf Hitler and Eva Braun commit suicide after being married for less than 40 hours. Soviet soldiers raise the Victory Banner over the Reichstag building. 1961 – K-19 , the first Soviet nuclear submarine equipped with nuclear missiles, is commissioned. Year 311 (CCCXI) was a common year starting on Monday of the Julian calendar. At the time, it was known as the Year of the Consulship of Valerius and Maximinus. The denomination 311 for this year has been used since the early medieval period, when the Anno Domini calendar era became the prevalent method in Europe for naming years. 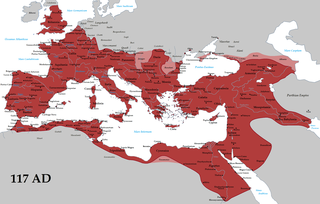 The Diocletianic or Great Persecution was the last and most severe persecution of Christians in the Roman Empire. In 303, the Emperors Diocletian, Maximian, Galerius, and Constantius issued a series of edicts rescinding Christians' legal rights and demanding that they comply with traditional religious practices. Later edicts targeted the clergy and demanded universal sacrifice, ordering all inhabitants to sacrifice to the gods. The persecution varied in intensity across the empire—weakest in Gaul and Britain, where only the first edict was applied, and strongest in the Eastern provinces. Persecutory laws were nullified by different emperors at different times, but Constantine and Licinius's Edict of Milan (313) has traditionally marked the end of the persecution. Year 1245 (MCCXLV) was a common year starting on Sunday of the Julian calendar. Year 1310 (MCCCX) was a common year starting on Thursday of the Julian calendar. AD 65 (LXV) was a common year starting on Tuesday of the Julian calendar. At the time, it was known as the Year of the Consulship of Nerva and Vestinus. The denomination AD 65 for this year has been used since the early medieval period, when the Anno Domini calendar era became the prevalent method in Europe for naming years. Marcus Annaeus Lucanus, better known in English as Lucan, was a Roman poet, born in Corduba, in Hispania Baetica. Despite his short life, he is regarded as one of the outstanding figures of the Imperial Latin period, known in particular for his epic Pharsalia. His youth and speed of composition set him apart from other poets. Year 125 (CXXV) was a common year starting on Sunday of the Julian calendar. At the time, it was known as the Year of the Consulship of Paullinus and Titius. The denomination 125 for this year has been used since the early medieval period, when the Anno Domini calendar era became the prevalent method in Europe for naming years. Adjutor is venerated as a saint by the Catholic Church. 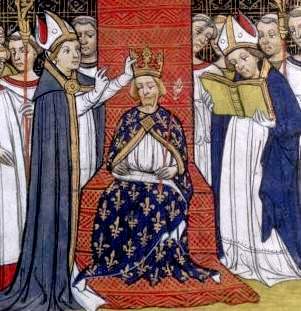 He was born in Vernon, France, where he was made a knight in the First Crusade. He is credited to be the patron saint of swimmers, boaters, and drowning victims, and the patron saint of Vernon, France. The stories given for his patronage of boaters vary. 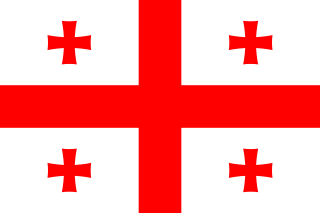 Some state that he was captured by Muslims in The Crusade, who tried to force him to abandon his faith, and when refusing, he escaped persecution by swimming. He swam back to France and entered the Abbey of Trion. There he became a recluse until his death of April 30. Aimo was a mystic and monk. Born in an area near Rennes, France, Aimo entered the Benedictine monastery of Savigny, in Savigny, Normandy. There he took care of two monks who had leprosy, and it was believed that Aimo himself had contracted the disease. This led the superiors to designate him a lay brother, and they required Aimo to keep apart from the rest of the community, lest the illness spread. When it was seen that he did not have leprosy, Aimo was ordained a priest. Aimo is mainly remembered for charitable kindness especially to the sick and for his mystical experiences. Saint Donatus of Evorea was a Christian saint revered in Albania and Greece. By an ordinance issued by the Government of Sweden, a number of days of the calendar year are designated as official flag days. 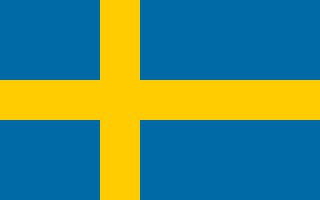 This means that the Flag of Sweden is flown on all public flag poles and buildings. Hoisting of the Swedish flag on private flag poles on these days is also strongly encouraged, but not mandatory. October 3 is the 276th day of the year in the Gregorian calendar. There are 89 days remaining until the end of the year. ↑ Sutton, Christine (8 January 1997). "Ninety years around the atom". New Scientist: 49. ↑ Lo, Malinda (April 9, 2005). "Back in the Day: Coming Out With Ellen". AfterEllen.com. Archived from the original on March 4, 2010. Retrieved November 19, 2008. ↑ Jones, Phillip (2010). Quickly To Her Fate. Lulu.com. p. 64. ISBN 978-0-9565549-3-2. ↑ "Seimone Augustus WNBA Stats | Basketball-Reference.com". Basketball-Reference.com. Retrieved 2018-06-06. Wikimedia Commons has media related to April 30 .